Brightly decorated temples, women draped in sarees & flowers in their hair, hot steaming food served on banana leaf, fresh coconut water by the beach, palm fringed beaches, culture deep rooted in day to day lifestyle… Yes, it is indeed South India. Andhra Pradesh, Karnataka, Kerala, Tamil Nadu and Telangana states as well as the union territories of Andaman and Nicobar, Lakshadweep and Pudducherry form Southern India. 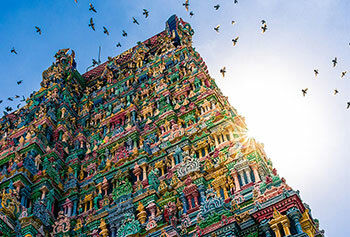 Temples, beaches, backwaters, wild life, spice plantations, art & culture, hill stations, and lip-smacking cuisine is on a platter for travellers in South India tour packages. Gokak Falls, Unchalli Falls, Magod Falls, Abbey Falls and Shivanasamudra Falls are not to be missed locations of Karnataka. State that tops the chart on tourism is Kerala, God’s Own Country. Its glittering beaches, lush green plantations, clouded hill stations, radiant waterfalls, aromatic spice & coffee plantations, backwaters, houseboats, sea food, Ayurveda, wildlife in Periyar; the list of South India tour package options is endless! 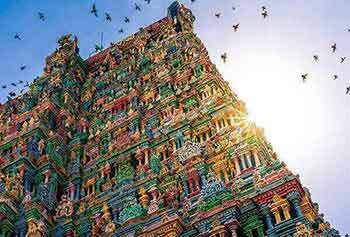 Similarly, Tamil Nadu is dotted with some of the grandiose Hindu temples with Dravidian architecture. The monuments in Mahabalipuram (UNESCO World Heritage Site) are worth a visit. Some of the most visited places here are Kanyakumari with Vivekananda Rock Memorial and Thiruvalluvar statue, the Corridor of 1000 pillars inside Rameswaram Temple, Dolphin's Nose at Kodaikanal and Hogenakkal Falls. 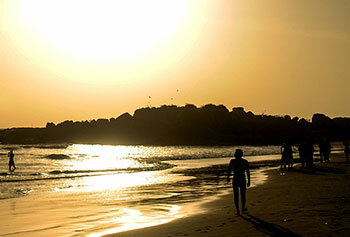 The serene islands of Andaman and Nicobar and the French influencing Pudducherry are perfect for an exotic honeymoon. 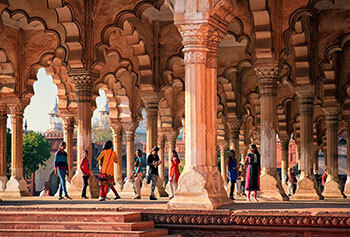 Experience some of our best examples of South India tour packages below to book or ask our South India tour operator to tailor-made a trip for your requirements. "I am a culture lover and India is an inspiration for me. I was awestruck by the beauty of all the ladies draped in sarees with flowers on their heir. I also shopped for varied colourful sarees from Andhra Pradesh and tried some in India itself, also, travelled a whole day in that attire and many complimented me too." "I and my grandmother came to South India as my granny keenly wanted to visit this place. She was craving for going to the Hindu temples attractively built in this place. Granny was too happy and I could see that on her face. She was smiling all through the trip. Thank You Max Holidays for such an amazing travel." "I had no problem in communicating with any of the people present in South India, as they were fluent in English speaking. The serene environment and the lush green forests of the South took away my heart. 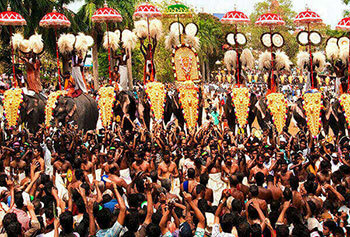 Max Holidays has made my travel experience to South India, an unforgettable one! Loads of thanks and I enjoyed your company."